Cryptocurrencies have already changed the world over the past few years. Bitspace is here to join the economy revolution with it´s decentralised cryptocurrency ecosystem. on banks or financial institutions. 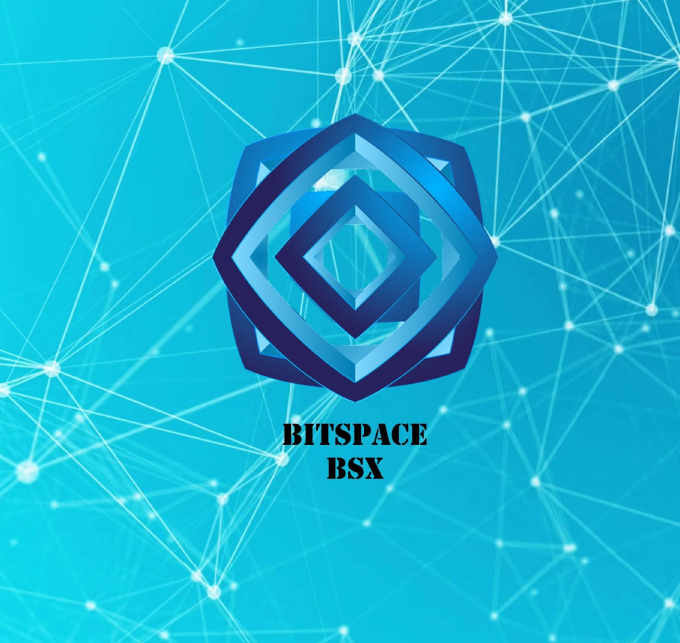 The BitSpace team intends to implement the extended functionality of Bitspace Ecosystem by incorporating such applications as BSX miner program, BSX Exchange, BSX bank and BSX Platform for renting and leasing rigs + Algorythm convertor. Implementation of those products seeks to expand the coin’s sphere of circulation, thus driving demand for it. 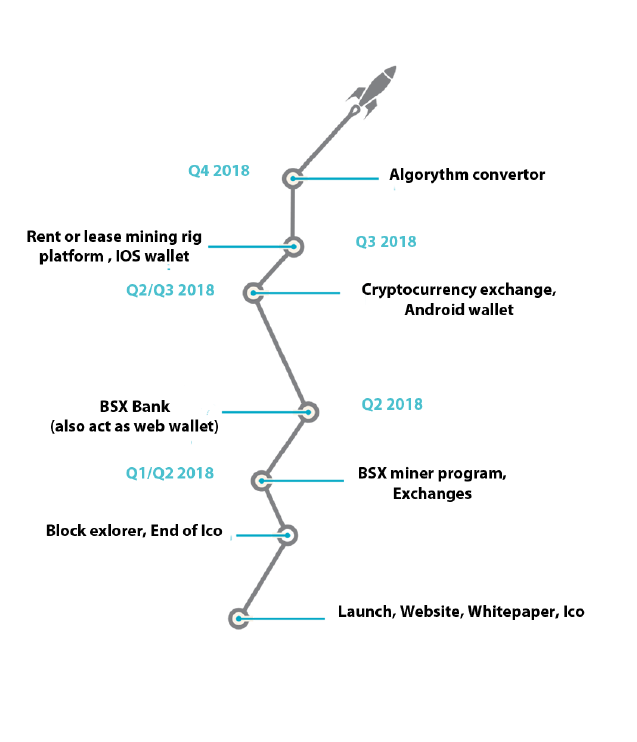 BSX blockchain also summarizes the best characteristics of digital currencies, which were issued earlier (Bitcoin, Peercoin), such as: increased security, fast consensus mechanism, and increased decentralization achieved by requiring miners to prove the knowledge of the transaction data. Both Proof of work and Proof of stake protocols are running at the same time. Normally you mine with your computer (rig) and get coins as a reward. With BSX you can also mine via holding coins in your wallet. Mining verifies the legitimacy of a transaction and creates new currency units. Proof of stake is an alternative process for transaction verification on a blockchain. It is increasing in popularity and being adopted by several cryptocurrencies. To understand proof of stake, it is important to have a basic idea of proof of work. BSX uses POS based on yearly interest. Which is set to 10% per year. Coins (input) have to be older 24 hours. Maximum age is not set. Basically you get a certain percentage of your coins as a reward. Some people think, They can ‘‘earn‘‘ here, but that´s nonsence, because if the market cap stays stable, the single coins are worth less, if new coins are generated. So you just ‘‘keep‘‘ your value, if you are staking. And ‘‘loosing‘‘, if you are not…. Its like in a bank if you get 10% interest , and the inflation is 10% as well. POW and POS starts from 1st block. POW block reward is constant 100 BSX per block. POS interest is 10% early. POW mining phase will last for one year. And It will end at block 450 010. After POW ends. Bitspace will be auto switched to pure POS. How To Install Ubuntu Mate On Raspberry Pi 2 And 3? and 3 also performs perfectly. Nist5 is only GPU mineable. (no asics) POW Mining period will end at block 450 010. Is should be around 9-12 months of mining. What you need to mine Bitspace? For nVidia cards we recommend using CCminer. 1. Download wallet and install it. Rpcuser + rpcpassword can be changed. Use strong password! You are now soloming into your wallet.